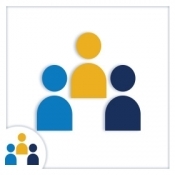 Adopt the school leader evaluation model that focuses on student achievement. 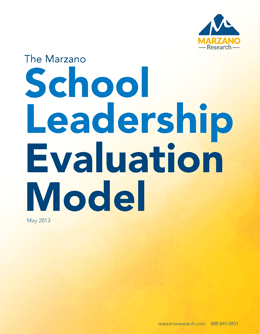 States, districts, and schools across North America choose to implement the Marzano model for its credibility and its emphasis on leadership impact on student learning. This whitepaper outlines the model and includes significant implementation tools. The Marzano School Leadership Evaluation Model examines 24 categories of principal actions across five domains. Choose a model grounded in research. The Marzano School Leadership Evaluation Model was based on an extensive review of the extant literature in school administrator leadership. While it can be used independently, it is designed to be used in conjunction with the Marzano Teacher Evaluation Model. Learn how this model can transform school leader evaluation into school leader development for your school. I have followed Dr Marzano work for many years, and I can really appreciate the fact, his work is researched based. Mostly, his work truly builds upon past research, without contradiction. The Marzano School Evaluation Model is simply outstanding, demonstrating all three levels of Leadership, 1. District, 2. School Leadership, and 3. Classroom teacher best practices . The model keeps each person in the "Right Lane".